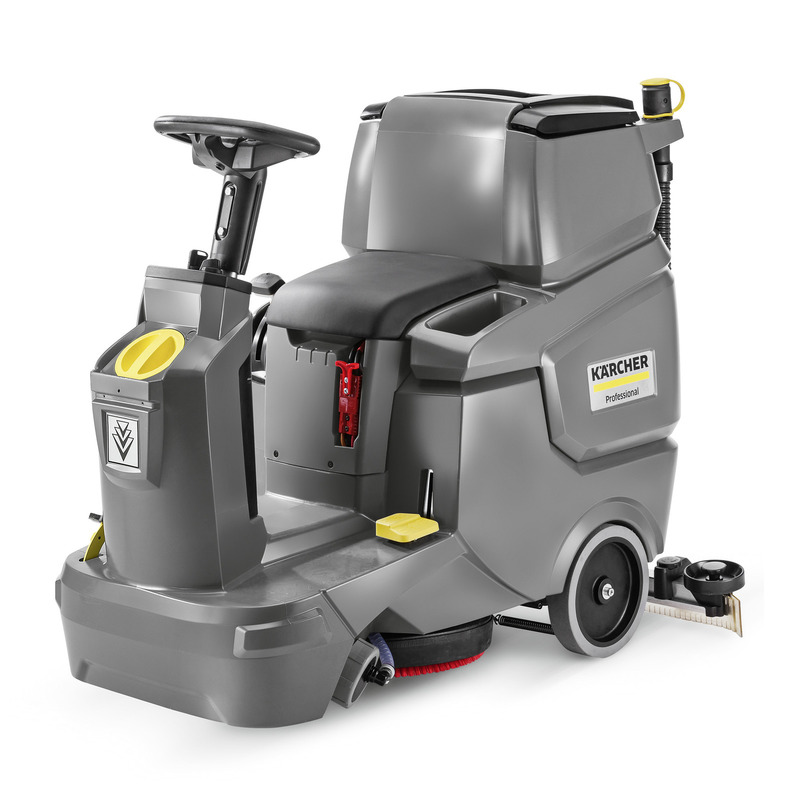 BD 50/70 R Classic Bp 11610700 https://www.kaercher.com/in/professional/floor-scrubbers-scrubber-dryers/scrubber-driers/ride-on-scrubber-driers/bd-50-70-r-classic-bp-11610700.html For an area performance of up to 2,000 m² per hour: the battery-operated BD 50/70 R Classic ride-on scrubber drier with disc brush. Batteries and charger must be ordered separately. Robust construction style with integrated disc brush head. High area performance thanks to large working width. Brush replacement via pedal ejection. Extremely manoeuvrable machine. Clear view of surfaces to be cleaned. Easy to transport. Picks up dry dirt, thus supporting the cleaning process. Helps prevent blockage of the suction channel.